Mixtures of wet vegetable wastes (Brassica, carrot or onion) and dry onion waste were composted at 50 °C for 7 days. 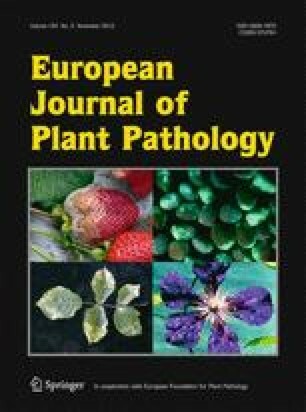 The incorporation of the raw or composted vegetable waste mixtures into sandy loam, silt and peat soils reduced the viability of sclerotia of S. cepivorum in glasshouse pot bioassays. The reduction in viability was dependent on waste type, rate of incorporation, duration of exposure and soil type. Onion waste was the most effective waste type in reducing sclerotia viability in all three soils. The Brassica and carrot wastes were as effective as the onion waste in silt soil but less effective in sandy loam and peat soil. A 50% w/w incorporation rate of the wastes gave the largest reduction in viability, with an increase in reduction over time. Composted onion waste reduced sclerotia viability under glasshouse and field conditions although the effect was smaller in the field. Composted onion waste incorporated into soil at 50% w/w reduced the incidence of Allium white rot on onion seedlings in glasshouse pot tests. Incidence and control of the disease differed with soil type. The most consistent control was achieved in peat soil whereas no control was observed in silt soil. Incorporation of the waste 2 months prior to sowing or transplanting reduced seedling emergence in sandy loam soil and growth in all three soil types. The potential for field application of composted vegetable wastes as a sustainable method for control of Allium white rot and waste disposal is discussed.